Find out how to contact Oak Innovation. We operate in an industry built on quality. And, Oak Innovation is a leading provider of training materials. Find out how Oak Innovation can provide instant access to training materials. Especially those needed to deliver your own training courses. See our training materials in action. And, request free sample training materials. Not to mind discover how you can take your courses to the next level. Orders team – for all sales-related inquiries. Customer support – for assistance with your training materials selection. 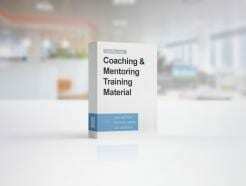 for assistance with your training materials selection. Less than 24-hour response to your question. Expertise from start to finish. Plan of action in a follow up email. You can also – like us on Facebook, meet us on Google+, join our group on Linkedin. Start your own training library with two free courses on Coaching and Mentoring and Time Management.